Little Lady Luxury: Little Lady Luxury’s First ever give-away! Little Lady Luxury’s First ever give-away! Because who doesn't want free stuff!?! 1. Follow me publicly on Google friend connect. New followers welcome! Sign up for a Google account if you don't have one. If you already do, just use your account to sign in! Google friend connect button is located on the right hand side of this page. 2. Fill out the entry form. Leave me your email so I can contact you! Also leave your Google Friend Connect username in the suggestions box! 3. Winner will be notified via email and must respond within 48 hours to claim prize. Shipping will be paid for by me! 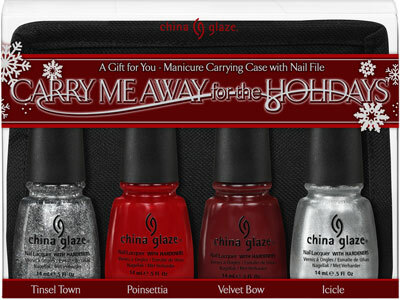 Winner Gets: Nfu-Oh's 051 polish and ONE of the MANY China Glaze Holiday 2011 gift packs (it'll be a surprise which one!). Entries accepted until Nov 15th at midnight. This Give away is open to international entries! Winner will be selected using a random number generator. Feel free to post this page to your facebook or twitter! You will get a double entry for doing this, just leave a note in the "Suggestions for blog" section. Please enter and show your support for Little Lady Luxury! Thanks everyone! 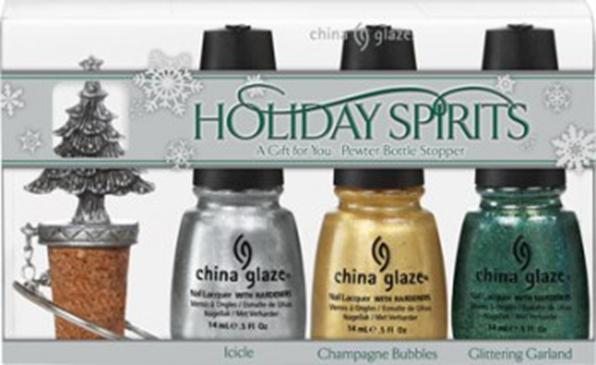 There are a few other China Glaze Holiday Gift Packs that I didn't picture, but those are possibilities too! Good luck everyone! Please fill out to enter for Little Lady Luxury's give away. 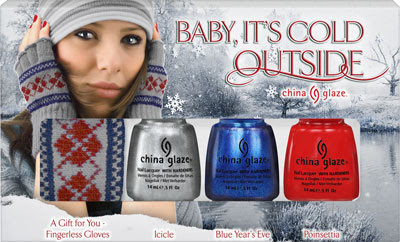 Pictures from Nfu-oh website and China glaze pro website.